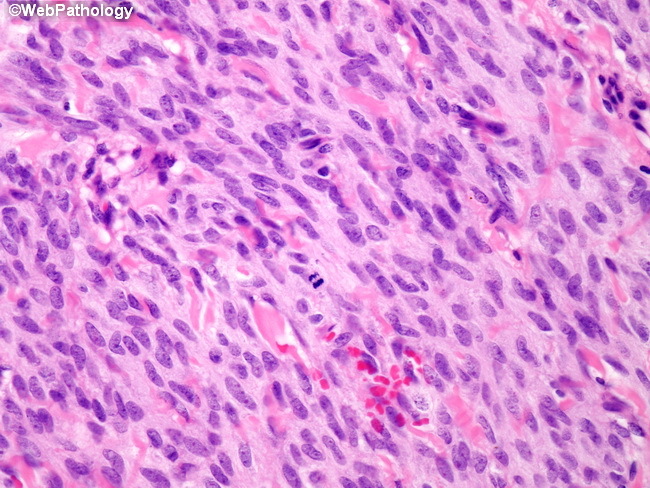 Paratesticular leiomyosarcomas show the classic features of soft tissue leiomyosarcomas. They are composed of intersecting fascicles of spindle cells containing eosinophilic cytoplasm, delicate longitudinal fibrils, and blunt ending nuclei. Mitotic activity is increased.